Ember is a classic RPG with a thorough story and dynamic atmosphere that was published by 505 Games and developed by N-Fusion Interactive. The story tells us about the world covered with darkness on the edge of instinction. It’s based on “Embers” destruction. These are star shards that once fell from sky, protected by Lightbringers. Not only the hero will be under players control, but also his partners, whose characteristics can change a little. Although, that’s pretty much all difference between them, as you will be always able to drop your abilities to zero and reassign your skillpoints the way you like, which is great by our mind. Battles are real-time, which is also pleasant. Spells and skills depend on players equipment, which is going to cause some sweat for players to get their sweets. To heal yourself in battle, players need to use potions, after battles – cook meal. Crafting system fits the game very well and to our mind, it’s a good advantage for the game. Some PC players can experience troubles with missing sound in the game. To fix that, you will need to turn off anti-aliasing and v-synch. 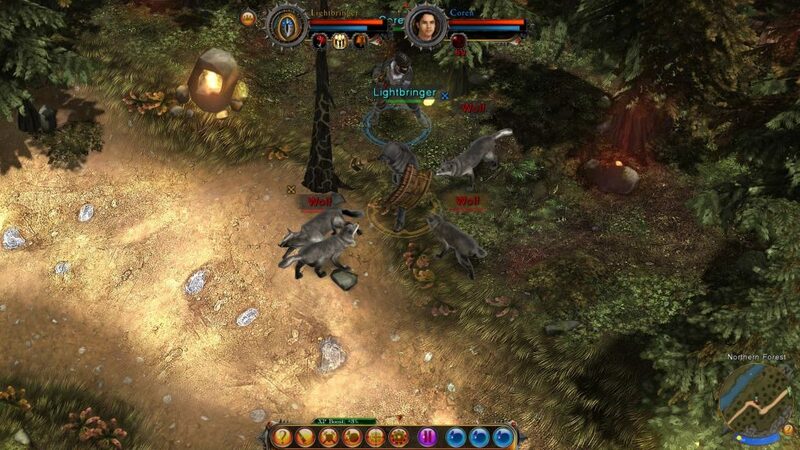 N-Fusion Interactive were very accurate with best gameplay features of “old-times RPG’s”. Ember will bring joy into homes of Baldur’s Gate and Dungeon Siege fans. Although it might not be met warmly by the current generation of RPG players by it’s graphics and mechanics. Approved for buying. Price on Steam is about 4$.